Do they staff scientist at their laboratory that can file scientific data to the FDA? If they say no then you do not need to ask them anymore questions from this point. They will not be in business for much longer. Does your lab have the capability to submit HPHC ( harmful and potentially harmful constituents) reporting under section 904 of FDA regs? Can your laboratory successfully file a pathways–premarket tobacco applications (PMTAs)? Does your laboratory have all of their eliquid flavors on file with the FDA currently?? If not as of August 8th of this year all flavors that are not premarket, which is currently on the market will have to be approved by the FDA for you to sell. So for example if you want to add any additional flavors to your eliquid line after August 8th it must be first submitted to the FDA for approval, a very lengthy process. 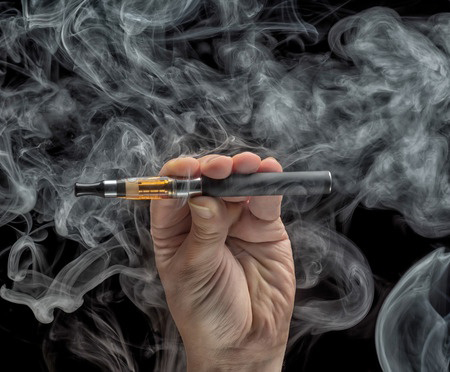 Does your laboratory have the capital to make all the changes that are required by the FDA to continue to produce eliquid up to FDA standards?? Does laboratory practice as cGMP in accordance with 21 CFR part 111? Is your Lab a analytical laboratory complete with GC/MS,GCFID,HPLC, and a Karl Fischer Titrator and a Pensky -Martens Flash Point apparatus? These are just a few questions to ask. We have been preparing for this day to come for years and have everything in place to continue to produce eliquid..
Our Laboratory that makes our eliquid is one of the largest and most competent e liquid compounding laboratories in the United States, making e liquid for over 6.5 years for domestic and international distribution. They are an FDA Registered Tobacco Manufacturing Facility and all of our flavoring disclosures are on file with the FDA. We routinely analyze for Harmful or Potentially Harmful Constituents (HPHC), which is required by the FDA. Our Laboratories practices cGMP in accordance with 21 CFR part 111. Our Laboratories owns and operates an ISO 17025 A2LA certified analytical laboratory. The analytical laboratory is complete with GC/MS, GC/FID, HPLC and a Karl Fischer Titrator and a Pensky – Martens Flash Point apparatus. We routinely analyze our finished products, e liquids, for their purity, safety and compliance. Our Lab produces approximately 100 metric tons of finished product per year. As part of our Standard Operating Procedures (SOP), Our Laboratories quarantines all incoming raw materials. Aliquots are drawn from the incoming feedstocks and sent to an independent third party laboratory for conformational analyses of the manufacturer’s certificate of analysis. Production has 5 fully automated machines on the floor and can produce 1.5 million bottles per week. They also have our semi-automated machines, for smaller orders, and can produce 25,000+ bottles per day. Currently, the National Institute of Health (NIH) and our Laboratories are working together to produce a standard e liquid, to be used as a benchmark for future e liquid studies.